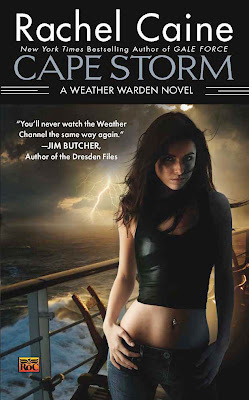 Once again Tez Miller over at Tez Says alerts us to two new covers posted at Rachel Caine's blog for the 7th Morganville Vampires book Fade Out (November 2009) and the 8th Weather Warden book Cape Storm (August 4, 2009). *sigh* I am so behind because I have yet to start either of these series. But the covers are wonderful! 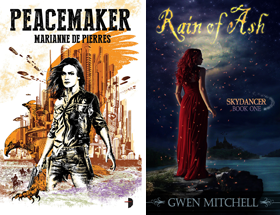 I'm up to Lord of Misrule, but I know a friend is going to love that there is another book in the works! These covers are beautiful. I wish I had that kind of bod! Maybe in an alternate universe or my next life. Hey Mishel then you have lots to look forward too! 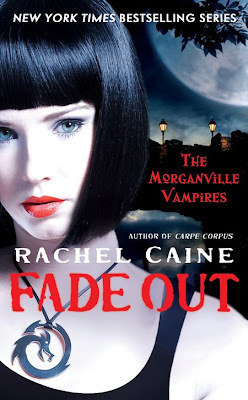 Jackie I'll keep reading Morganville stories as long as Caine keeps writing them.